In the face of challenging situations, it's easy to fall into the grip of the egos’ fears and confusion. Remind yourself each day of your intentions and spiritual purpose. 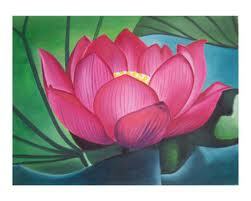 Meditate, find your center, reflect and plant your seeds of intention in the fertile field of all possibilities. "Are you looking for me? You will find me instantly. 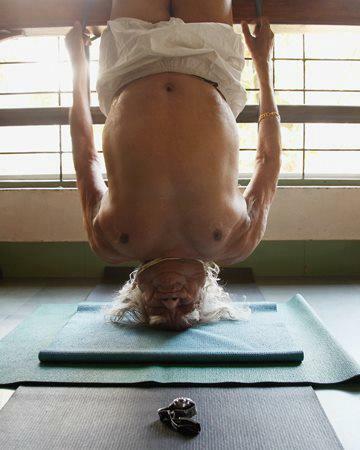 He is the breath inside the breath." "breathing room” when we feel we are not getting enough air...when we intuit that our very life force is draining away. From our first breath to our last, breathing is a continuous, endless tool through which we can fulfill the dictum "know thyself.” If we pay attention, our breath can teach us more than we can imagine: gratitude, peace and even as Kabir tells us, God. Focusing on the breath immediately brings us into the NOW, which is why awareness of the breath is at the heart of many meditation practices. When we allow ourselves to be present, we create the breathing room that we crave so intensely. When we need vitality, we may need to look no further than our breath, which brings in the prana (life force) necessary to support every cell in the body. Breathing is part of the great mystery that surrounds us every day, immersing us in the source of life even while we feel separate from it. Take some time to follow your breath today and you will be amazed where it will take you. Nature's intelligence functions with effortless ease. When you become lighthearted and let go of struggling to force things to go your way, you'll experience the spontaneous fulfillment of your desires and purpose. An ancient Vedic teaching states that the ability to embrace ambiguity, uncertainty, and paradox is the hallmark of spiritually enlightened beings. Yet while we may acknowledge the value of flexibility and openness, the mind craves certainty. It strives to classify ideas and experiences into neat categories of good or bad, true of false, victim or aggressor. 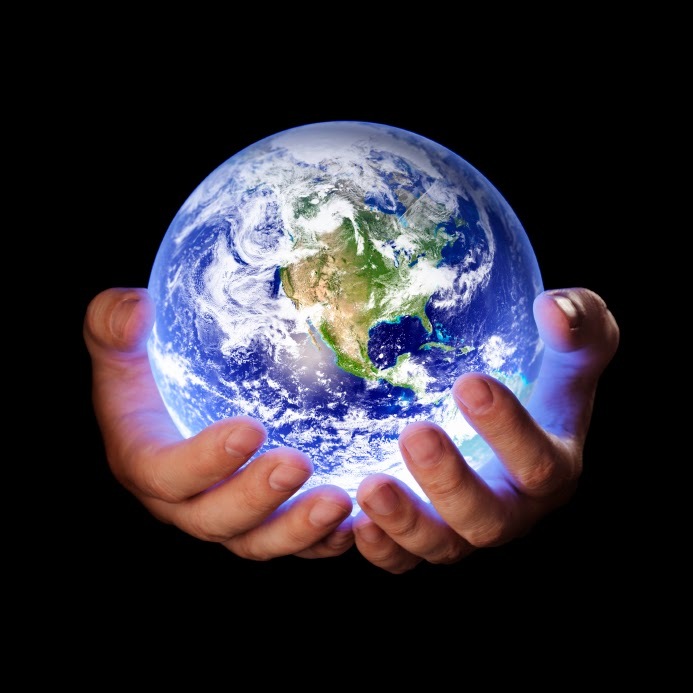 While this innate response is invaluable for assessing potential danger in our environment, when we become entrenched in a a particular perspective, we constrict our awareness of new possibilities. 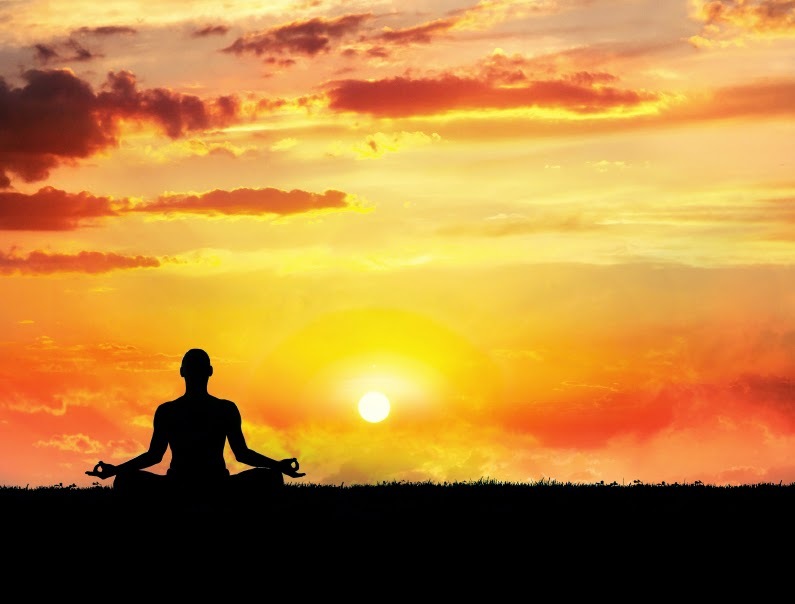 Through mindfulness practices such as meditation and yoga, entrenched thought patterns and their accompanying emotions lose their tight grip on you. Take some time to meditate today. As observe your thoughts arising and disappearing in the vastness of your awareness, you will become less and less identified with your conditioned mind and its creations. 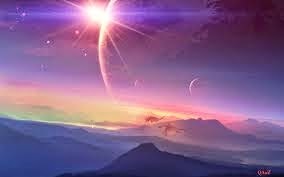 They will cease to define your reality as you begin to see that they are just one perspective in a universe filled with perspectives...just one more expression of the infinite Divine that resides in each of us. 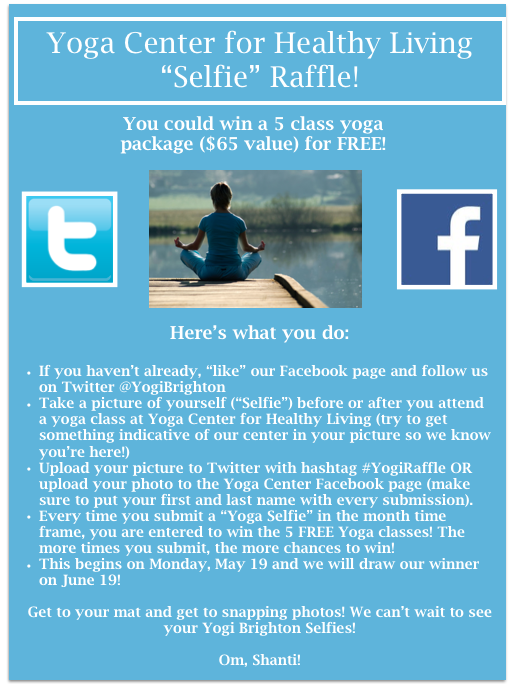 Yoga Center for Healthy Living “Selfie” Raffle! You could win a 5 class yoga package ($65 value) for FREE! Upload your picture to Twitter with hashtag #YogiRaffle OR upload your photo to the Yoga Center Facebook page (make sure to put your first and last name with every submission). 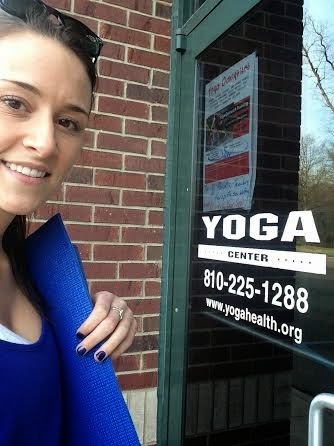 Every time you submit a “Yoga Selfie” in the month time frame, you are entered to win the 5 FREE Yoga classes! The more times you submit, the more chances to win! This begins TODAY Monday, May 19 and we will draw our winner on June 19! Get to your mat and get to snapping photos! We can’t wait to see your Yogi Brighton Selfies! We've all heard the old saying "what goes around comes around" which is the motto of the philosophical law of karma. It plays well with the golden rule "do unto others as you would want done unto you." Keeping this in mind, let's dive into the meaning of the third law of yoga, the law of karma (also know as the law of cause and effect). Struggling against old patterns only reinforces them. Deliberately incorporating new behavior, new ideas, and new approaches into your everday life habits gives your mind the opportunity to adopt fresh perspectives. Be patient and loving with yourself, and soon the old conditioning will relax its grip and free you to be your true self in the present. 1. ACCEPT THE NOW. When you accept life as it unfolds, offering no resistance, you become aware of the choices available in this moment. This doesn't imply giving up desires or being a victim, but discovering the freedom to respond creatively. 2. ACCEPT THE SIGNALS OF YOUR BODY. Feel all of your body's sensations. While the mind lives in the past and the future, the body resides in the now and never doubts itself. It knows the truth and will guide you towards the most evolutionary choices. 3. ACCEPT RESPONSIBILITY AND COMMIT. With deepened awareness, you can make new choices, let go of habits that no longer serve you, and commit to taking the next step to achieve your dreams. Giving is based upon being, for you can only truly give what you are. This means that you must go within to tap your infinite reservoir of intelligence, power, and joy. Meditate, read, journal, go for walks ~ let all of your activities bring you into alignment with your essential being. As we were growing up, many of us were taught that "it is better to give than to receive." Yet both giving and receiving are required to keep the flow of love, joy, and abundance circulating in our lives. To take a simple example, every time we breathe in, we're taking in life-giving oxygen produced by plants and trees; and when we exhale, we're giving back the carbon dioxide that in turn nourishes plants and trees. In receiving, we're giving. Think of how much joy you feel when you truly give and get to experience the joy that comes from seeing the happiness of the recipient. Imagine how you might feel if they refused your gift...if they stopped the flow of energy. My name is Cortney Peters and I have been going to the Yoga Center for Healthy Living a little over 6 months now. Having tried many yoga places (with Groupons, I might add) I had never really found a center that I fit into. There was never a place where I was recognized or acknowledged- I was just another body with a coupon. I plead guilty to "Groupon-jumping" from center to center until this method eventually lead me to Yoga Center for Healthy Living. I went to my first yoga class at the center and it was lead by the owner, Lee Ann. Anyone who knows Lee knows what an incredible teacher she is not only of yoga, but of life. Soaking up her words of wisdom and rejuvenating my body, soul and mind during her yoga class made me realize I didn't want to practice anywhere else. After having attended quite a few classes with a variety of teachers at Yoga Center for Healthy Living, I learned that each one of them practices and encourages the way Lee does. They make yoga enjoyable and make each person feel welcomed, respected and like you're part of their yoga family. This is when I learned that I would much rather be a part of a yoga family than just any other center. There are even some students I have come to recognize and get to know, because they know the secret of a yoga family just like I do. If you've never been to yoga or you have, but haven't found fulfillment in your practice, give Yoga Center for Healthy Living a try. You will encounter a studio full of teachers and students who have become a yoga family. We all gather for a purpose and the hardest part is getting to the mat. Once you make it there, you won't be sorry. Yoga Center for Healthy Living is my home away from home! Thank you so much Lee and staff for cultivating such a calming and nurturing environment for my yoga practice. See you all soon! Om, Shanti!